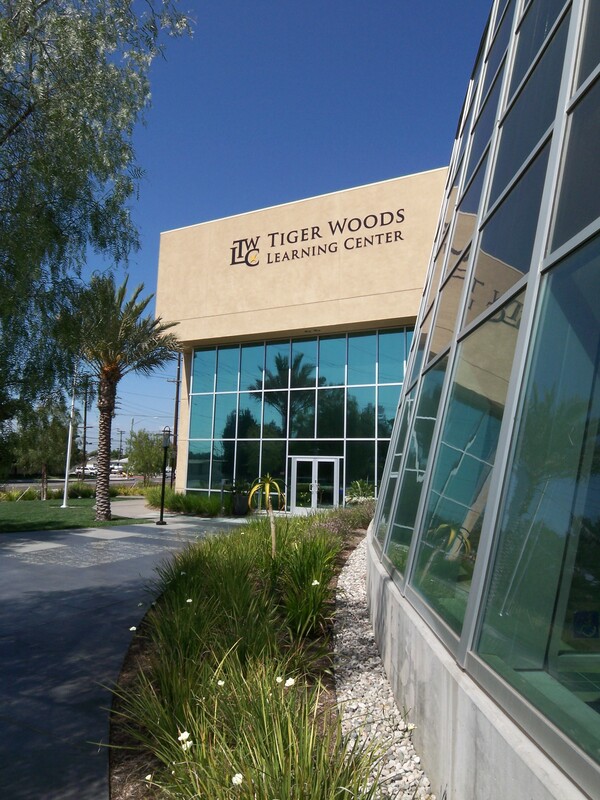 Although Tiger Woods is one of the most successful golfers of all time, he has said his most important legacy is his solar-powered learning center in Anaheim, CA, not far from where he grew up. The high-tech 35,000 square foot educational center offers grades 4-12 education programs in a building that houses 100 computer stations, a totally wireless environment, a 200-seat auditorium, and a multimedia center. The Center features two solar electric systems: a rooftop array for bulk power harvest and a custom, curved BIPV curtain wall to showcase solar technology. SDA worked with design architects, Langdon Wilson, to ensure that the BIPV application met the architect’s design intent. 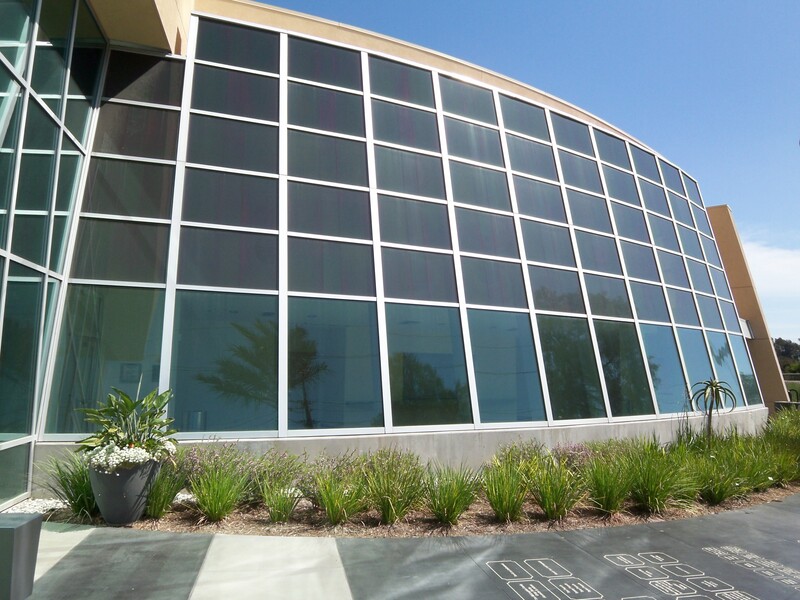 The BIPV curtain wall is both curved and sloped, requiring modules of differing size and shape which also vary in light transmission form 5% to 30% top-to-bottom–like the tinted band on your car windshield– and transition to clear at the vision area. 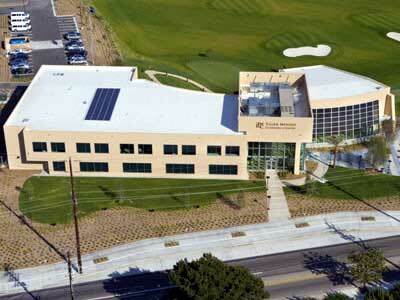 The City of Anaheim helped sponsor the solar electric systems. Other project sponsors include Intel, Microsoft, Nike, Dell, AT&T, Accenture, American Express, Boeing, PGA, and Deutsche Bank.